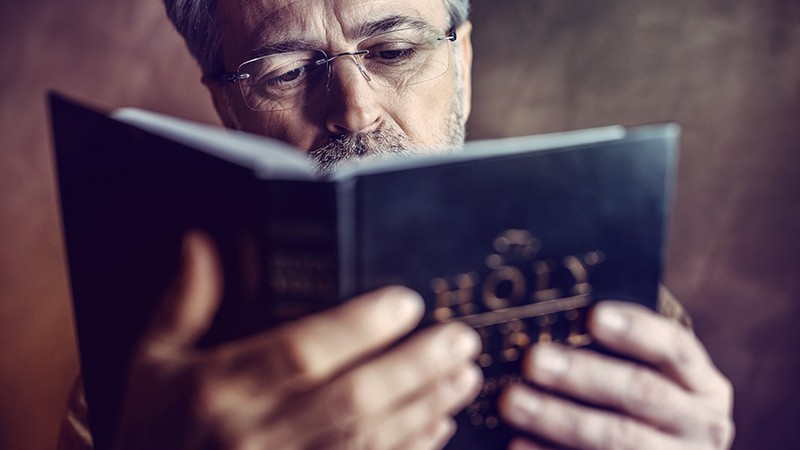 This very list shows more than fifteen issues identified by Christian leaders. They’re all so different, yet I don’t think any of them is wrong. What’s the crux of the battle? Where do we even begin? Where should your church begin? If so, I thought, they must be very good planners indeed, fully supplied with up-to-the-minute information, skilled in assessing it and trusted with delivering good ideas. I’m still not sure I believe there are no plans on Pentagon shelves, but I like the thought of what he said anyway. Stock, static plans are only of marginal use — maybe as a bare starting point, but little more — for complex and dynamic situations like war, which thankfully didn’t happen anyway, at least not in Iran. The world we face as Christians is even more complex, even more dynamic; and we really are in spiritual battle. It’s happening on multiple fronts, all of them changing day by day. We need great thinkers, fully equipped with up-to-the-minute awareness, skilled in sorting it all out, and trustworthy to deliver good ideas and good answers. In a word, we need Christian thinkers. But we don’t just need this in some “Pentagon.” Every leader on the ground has to make tough decisions in fast-changing circumstances. Every church, every Christian body needs to come up to speed with their own capabilities to read and respond to urgent needs in their own changing worlds. In a word, we need Christian thinkers. Faithful, God-soaked, Bible-built, spiritually sound, culturally aware, mentally competent ones. Many of them will be in pulpits, but not all, for this calls for fairly specialized skills, and a pastor’s job is typically broader than what I’m describing here. The Church itself needs to take responsibility to build such thinkers, to equip them and ultimately to listen to them. And that means your church needs to take that responsibility. Because if we fight the battle at any point but where it’s really being fought, “we might as well not fight it.” But it’s not just that there’s no agreement where the crux of the battle is. There is no one crux to this battle; it’s everywhere. Ordinary thinking won’t lead us to great responses. We need to equip ourselves to do better. Be Spirit filled, and God’s word is his Spirit, so feed on his word. The Holy Spirit will give you the words to speak, and will even tell you what’s to come. Those that are led by the Spirit of God are the sons of God. Read also Hebrews 5:11-13 (it isn’t only about Melchizedek). Hey, Tom. I’m sure you’re familiar with the great George Marsden’s great Fundamentalism and American Culture. When I read that some years back, it was an eye opener for me. The anti-intellectualism I’ve experienced throughout my almost 40 years (!!!) as a Christian has deep historical roots in evangelicalism. So whenever I encounter it, it doesn’t surprise me. But we need to challenge it on every level, and I very much appreciate your work in this regard. The Lord continue to bless your ministry. Thanks! organized religion is anathema to Christianity. Individually read and study the Bible. Live what you learn daily. Walk out the simple message of Christ. Witness by your attitude, honesty, and compassion. The world will be drawn to Christ by your life. Be a witness consistently and constantly. Use words if necessary. All your advice seems great to me – except the first one about ‘organised religion’. With respect I actually think that organised religion is basic to Christianity. Jesus started his ministry on earth by building an organisation. The apostle Paul spent his entire Christian career establishing churches and advising on their organisation. The Christian life lived biblically is lived in concert with other Christians. Yes surely it is important to read and study the Bible. But what the Bible itself teaches, it seems to me, is that organised religion is the only way to go. Stephen; Paul preached with urgency(1 Cor 7:29 and 31), because he knew the “Day of the Lord” was near. He was teaching a new covenant unknown and unheard of. It was imperative to organize and teach to spread the Word quickly because time was so short. Well, the “Day of the Lord” that he knew was coming soon, is past history. It was the end of the old covenant and the destruction of the Jews, the destruction of the temple in 70 AD finally and completely and for all time ended the old covenant and the special relationship the Jews had with the Father. (Ephesians 2:14) Col 1:6 and 23 establishes that the gospel WAS preached to the whole world(the world known at that time), thus we are in the eternal state where as mentioned in Jer 31:31-34) We no longer need churches—indeed we are the church, 1 Pet 2:5 and Rev 3:12. I, nor anyone needs a teacher. That is where the trouble began, seminaries, Bible colleges etc.. Man made doctrine dividing the church and confusing the world. Just walk out what the Holy Spirit tells you and be an ambassador for Christ. The world will be drawn to Him. Did you know that in John 12:32 the word “draw” actually means “drag” in the Greek? We simply live HIS life and He does the rest! God Bless you and help you to see. Preterism … another soldier off line, needed for the endtime ingathering of souls, but passively ignoring his admonitions, passing them off as done deals applying to past generations. Convenient. Hyper sovereignty is also religious error, no fault religion – hey, whatever happens or doesn’t – not my fault. Just take a walk in the park — while the world around you rots in the dark. Part of living his life is hearkening daily to his word, showing up to receive assignments. So, when you stand before Jesus, you’ll expect a hearty “Well done,” right? “You didn’t get in my way at all, son.” Instead, your disobedient passivity will net you a “Well?” You might be working on your lines now to have your excuse as full as you can. Interesting; No comment on scriptures provided by me, just run of the mill refutation. I will give you a quick point that is good food for thought. 2 Tim 2:18. Consider this carefully, if the common view of the resurrection is correct(graves literally breaking open in the last days)then how could Hymenaeus and Philetus “overthrow” the faith of many? Would it not have been very simple for the people to look at the graveyard and see the falsehood? Therefore the resurrection must have been something that could not be seen with physical eyes. Notice that Paul only took issue with the timing of the resurrection and said nothing about the type of resurrection. The resurrection Paul preached is in the past now. It was the general resurrection that brought all men from Adam to Christ into the New Covenant age. Just as Christ went to preach to the captives in prison(1 Pet 3:19 and 4:6)(this was the first fruits)and led them to the Father for judgment, the general resurrection was part of the harvest. Notice Rev 14:13. This is just after the harvest, “blessed are the dead who die in the Lord from now on”……now we are past the resurrection and since that day it is an individual thing. We die and immediately go before the Lord for judgment and or reward. Friend, do not reject Preterism without doing the serious study first. Keep in mind, the majority is usually wrong. Martin Luther stood against 1500 years of church history and teaching and was right. Preterism is the only theological system that works and does not ignore or twist scripture. I heard a well known dispensationalist on TV say, in answer to the question of where in the Bible the “gap” is between the 69th and 70th week of Daniel’s prophecy say that it is there because it “has to be there”! Seriously. Can you answer that question? Where in the Bible is the “great parenthesis”? The “church age”? Did you know C S Lewis said that Matt 24:34 is the saddest verse in the Bible because Jesus was wrong? Food for thought. Peace and Blessing to you. I pointed out that you manipulate scripture. That pretty much covers it. Matthew 24 misstep is often the point where most go off the rails with this. The fact is, whenever a wrong value is inserted in an equation, everything after that will be wrong. That’s what’s happened with the Preterism false doctrine. I don’t study the arguments because I’m not called to, and don’t feed on error. I study what is real, so when the fake, like Preterism, comes along, it stands out. One of the most obvious downers in that deal is the total lack of glory and presence, that you and yours have so downgraded what God has and what he can do. That this is the new earth … You need to humble yourself, sir, repent and believe the Gospel. The fact that you are attempting to lead astray here should be made known to the principles. typical, no scriptural response. Good bye and good luck. Paul dealt with this error in his day, naming those who claimed the resurrection was already past. Thinking is a great thing to do, but it is not synonymous with wisdom which is far more important. I was reading through this article and thinking exactly the same – how to define Christian thinking and leadership in a church shattered in a millions shards? We must always always remember that the world and times changes, but God never changed, changes or will change. Ever. Kidding aside, you’re spot on. I was looking at that list again and clicked the link and some guy considers immigration a Christian problem and was denouncing the border wall. Really!? That’s someone who certainly doesn’t think like me, and if I had to guess he might think of me as a knuckle dragging MAGA hat wearing neanderthal. Aren’t the 17 cultural issues listed issues Christians have been dealing with for almost 2000 years? Human nature is pretty constant so social issues will be also.